Hi Good People, can you believe our good fortune to have summer hitting full on in total sync with big waves and music filling the air? I’m digging all the moments from the swirly white clouds in the blue sky mixing in with Miles ripping it up on Oleo from “Live at the Blackhawk.” Now this is living! My music trip to Missoula was huge fun. I’m sorry that I’m not returning with tons of photos to help fill in the blanks but let me tell you, that’s one cool place with spirited folks immersed into the life of floating down rivers on inner tubes, using bikes as their chosen mode of travel and listening to music with attentiveness and enthusiasm. I had two concerts that went really well and I made new friends and set the stage for some returns in the future. Can’t wait to get back! 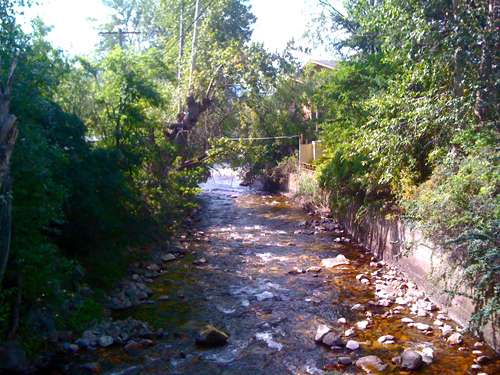 This was the river running right by my hotel in Missoula. It joins up with a bigger river and that's where all the inner tubing was going down. Next time for sure I'm in for some float time except if my return coincides with the freeze of the winter. Last week we had a stellar String hit at the Tango in PB and it served as a detail alignment moment to get us ready for this Saturdays show at the Idyllwild Jazz Festival. My new epic called “Mundaka” is working out and we’ll be sure to launch that into the pine trees and clear skies of Idyllwild. Have you ever been there? It’s a magic spot and the magic gets amplified in the swirl of the jazz festival. Look below for the details and maybe it’ll work into your plans for this weekend. Directly back from Idyllwild I’ll gather up my wits and meet up with Kevyn Lettau, Gunnar Biggs and Mikey Hoguin for some samba music at the Schulman Auditorium in Carlsbad on Sunday afternoon. It’s a free concert and it’s taking place in a nice space for music. All systems go for some Antonios Carlos Jobim! I'm thinking that the lady in red isn't so sure that the B minor 9 chord that I'm playing was the right choice for that moment in time. She probably knows that E sus would of been better. Hah! On the front of surviving amidst the flatlining of the music industry, good news pokes out every now and then. 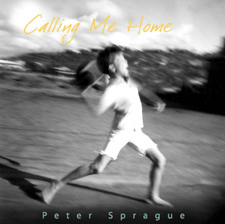 This week’s good news comes in the form of an ultra positive CD review in AllAboutJazz on my new recording “Calling Me Home.” Writer Robert Bush seems to pick up the things that I think are working on this recording and with his skill shuffling around the alphabet he’s offering up some cool words into the data stream. If you’ve been thinking about looking into this recording further, maybe check out the review to see what’s up. And if you’ve got the recording already, check to see if you’re in alignment with his thoughts. And option three is to do nothing and in the Zen flow of it all, this works perfectly fine too. Click here to be transported to the review. Mikey Holguin  drums 3 PM This is a free concert at if you've never been to this auditorium, it's a good spot for music. Leonard Patton  vocals 6PM We're playing this house concert and it's called the Joy of Life, honoring the memory of Glenda Joy Herczeg and all those who battle lung cancer, with the hopes that the disease will become better understood, and more people will experience the joy of life in good health. Proceeds will be donated to Lung Cancer Alliance. Tickets: $25 per person which includes a light dinner and an evening of incredible jazz in an ocean view setting. No host bar. Space is limited. Fred Benedetti 6 PM Fred and I will play a concert in this cool little spot in the Ocean Beach / Point Loma area. Really fun! 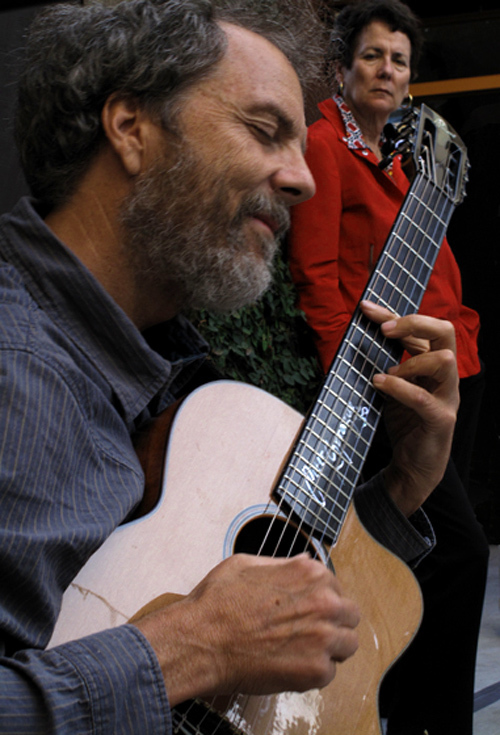 Gunnar Biggs  bass 8 PM Music for the Season of the Santa Ana Winds! We played this spot at the beginning of summer and the vibes were so good we had to return! Gunnar Biggs  bass 7:30 PM For this night we're celebrating the emergence of my new recording "Calling Me Home." We've got 5 incredible vocalists and an ace band. It'll be a really special evening of bossa nova and jazz. Gunnar Biggs  bass 8 PM Great to be playing a hit with master drummer Duncan. 12 PM Solo guitar and this one is a free concert along the new artistic trail that they've just completed in Solana Beach. 7:30 PM Amazing music from his new recording.